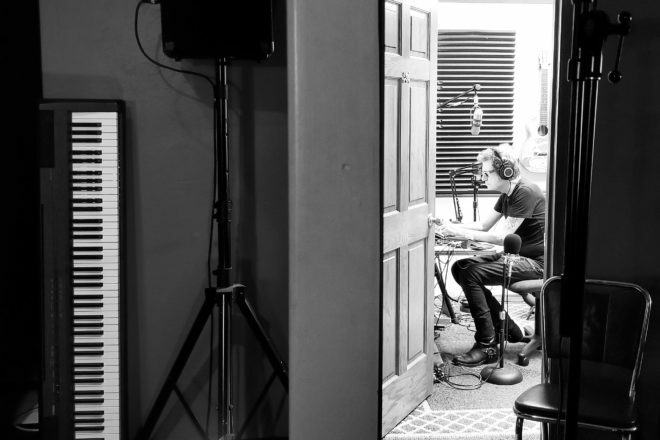 pat mAcdonald in his “Boom Clozet” studio. 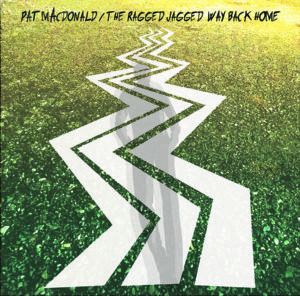 pat mAcdonald’s newest record, The Ragged Jagged Way Back Home, will be released on Jan. 23 at 3:33 pm on Steel Bridge Radio. mAcdonald continued, “Other tools I used were the ‘drone thing’ from Electro Faustus, a stripped-down Gibson SG (Bill’s other guitar), an Epiphone Sunburst … strung with all high strings (“Nashville tuning”), plus a few odd items. Listeners can tune in to hear the album played in its entirety by downloading the free Steel Bridge Radio app or by listening online at SteelBridgeRadio.com.